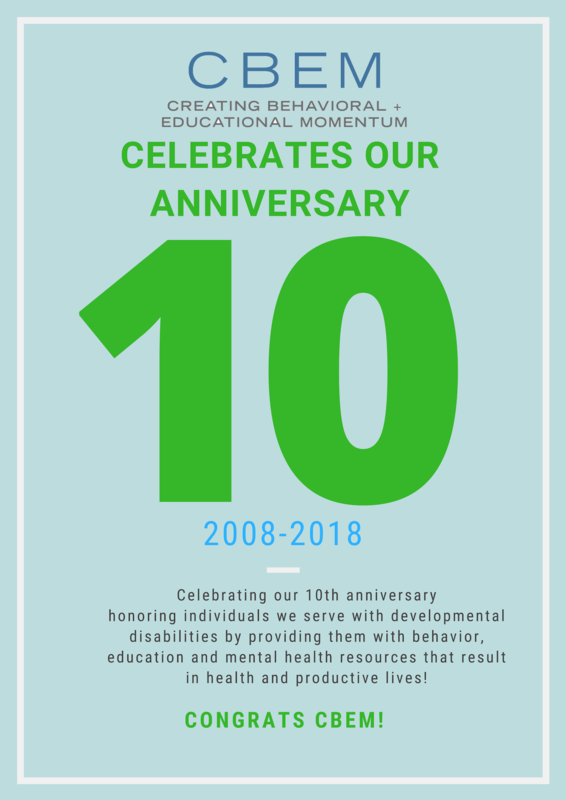 CBEM is celebrating 10 years of service this year! CBEM opened its doors in 2008 with our first contract with Golden Gate Regional Center in San Francisco. Read more of Our Story here!